Introducing Cuebi Light, a wireless tally light via WiFi. Works with Blackmagic ATEM, NewTek TriCaster, vMix, Roland Smart Tally, Ross Carbonite, Streamstar and most broadcast control systems. 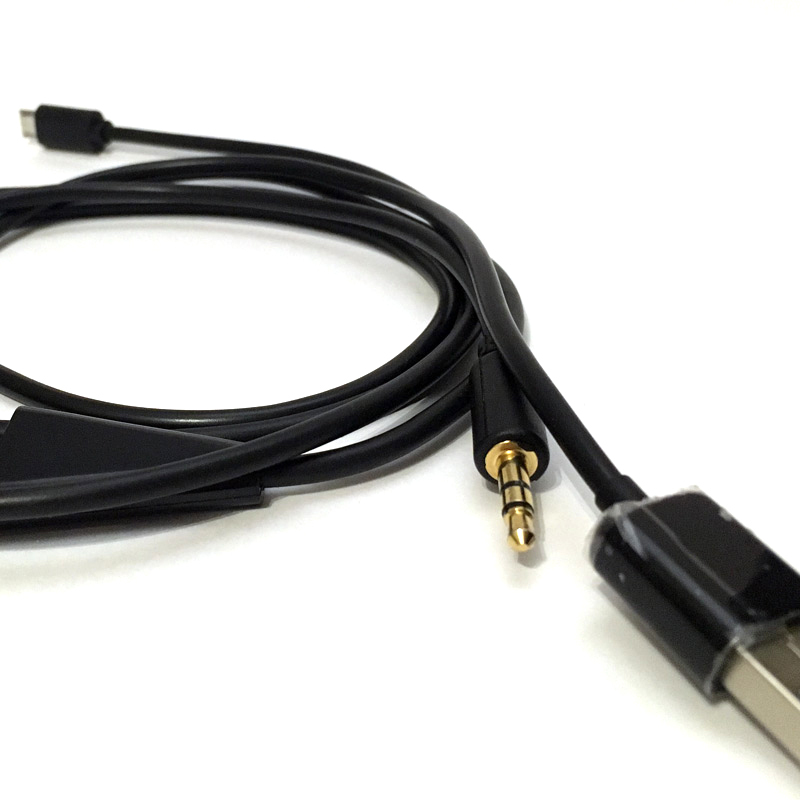 The easiest wireless tally solution available today! Cuebi Light is 100% IP-based and connects over a standard WiFi network to a switcher. 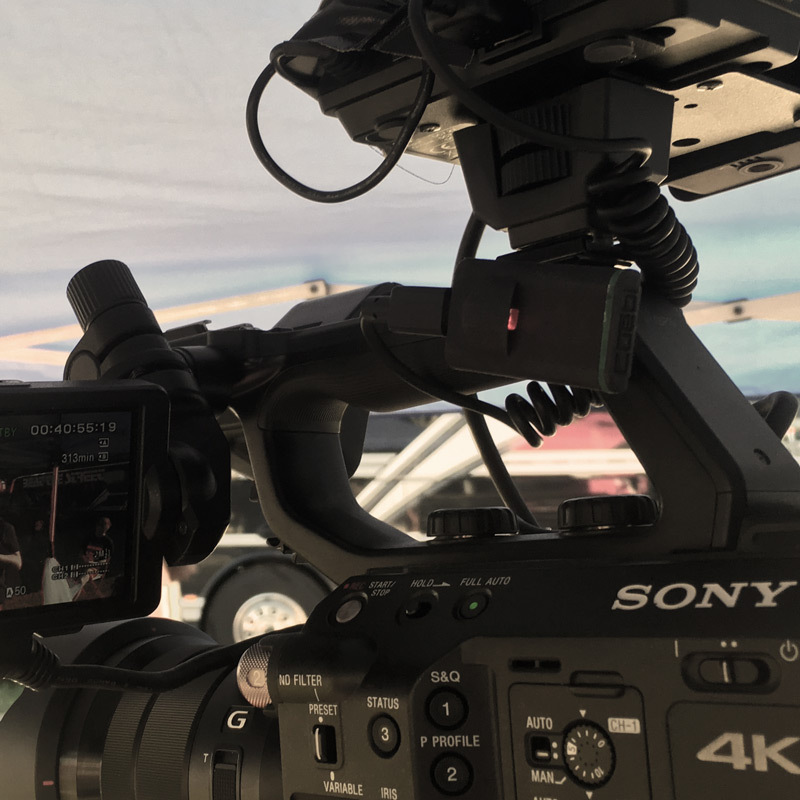 Blackmagic ATEM, NewTek TriCaster, Roland Smart Tally, vMix, Ross Carbonite, Streamstar and any broadcast system supporting the TSL UMD v3.1 or v5.0 protocol. 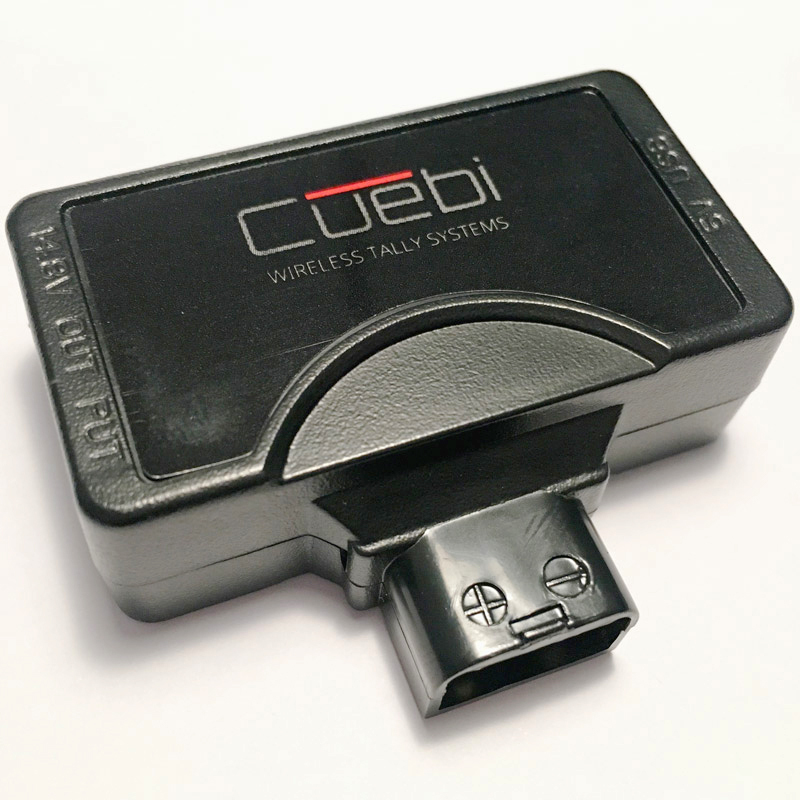 Cuebi is the most compact and affordable wireless tally system on the market today. Firmware-updateable, so more and more switchers and systems will be supported, and remain supported. Connect a small LED to fit inside the camera's eye piece or trigger a viewfinder's built-in tally light. 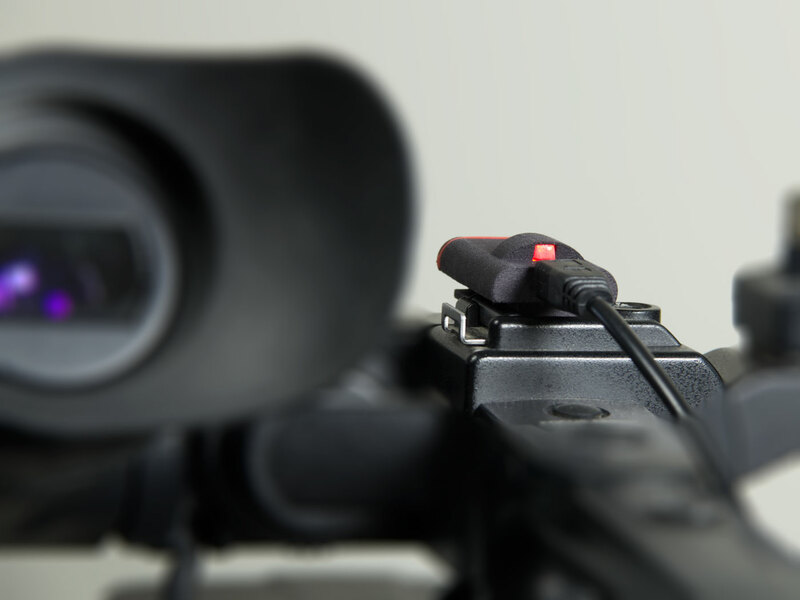 The Cuebi Lights work together and talk directly to the switcher, there is no separate base station. 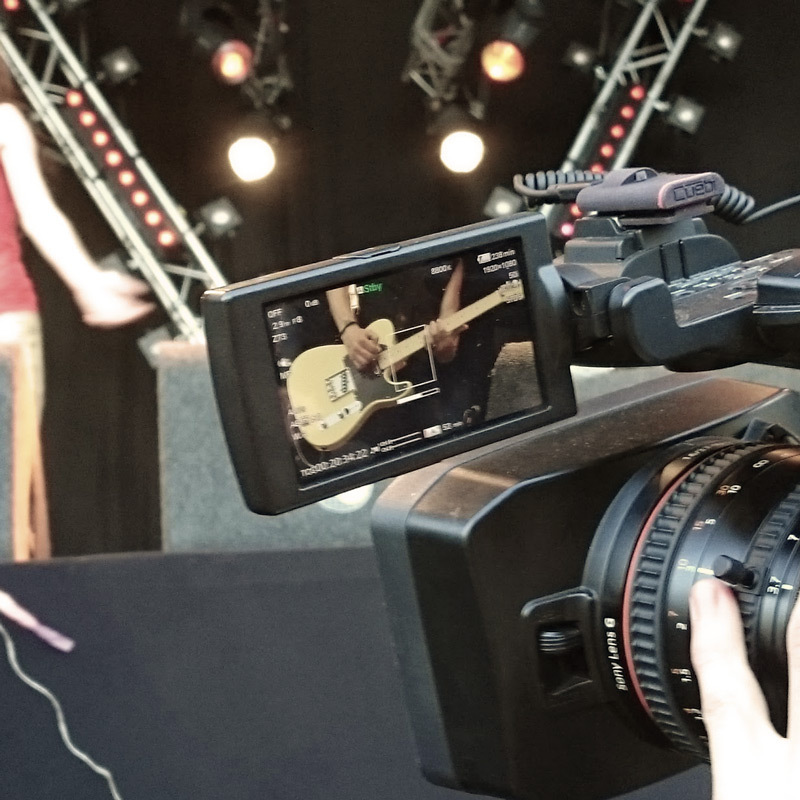 Add wireless tally signaling to all your productions! 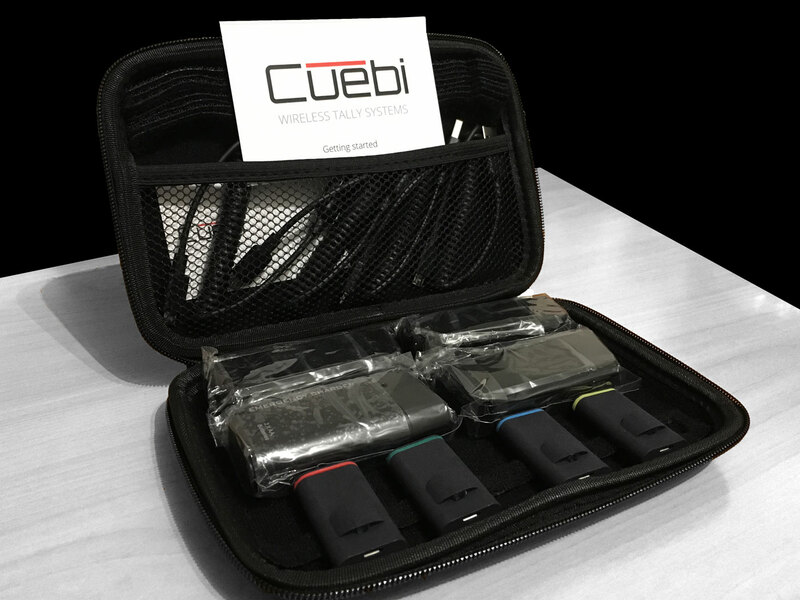 A portable carrying case with 4 Cuebi Lights, USB cables, velcro straps and AA powered battery pack (AA batteries not included). Connect a small LED to fit inside an eyepiece, or trigger your monitor's tally light. Also works directly with Datavideo TD-2 & TD-3 LEDs to create a bigger tally light. Power the Cuebi Lights from a D-Tap connector. 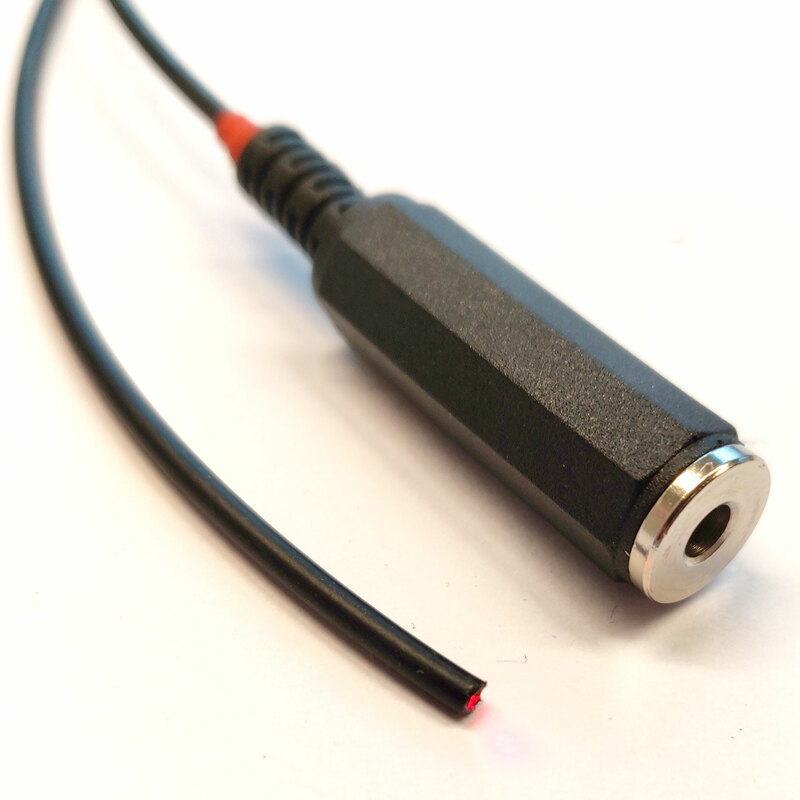 20cm fiber cable that connects to the external power and trigger cable and fits inside the viewfinder. Supports both program and preview light. To get your set of Cuebi Lights, send an email to . Please include shipping and billing information, VAT number and your order details. We accept PayPal, credit card and bank transfer payments. How many can I use with my switcher? You can use as many Cuebi Lights as your setup requires. The Cuebi Lights connect over WiFi, so you need a wireless access point connected to the switcher network. Connect each Cuebi Light to your computer via USB to set up network credentials, IP addresses and camera input number. Attach it to a camera and power it up by connecting it to the provided battery pack or any other USB power supply. 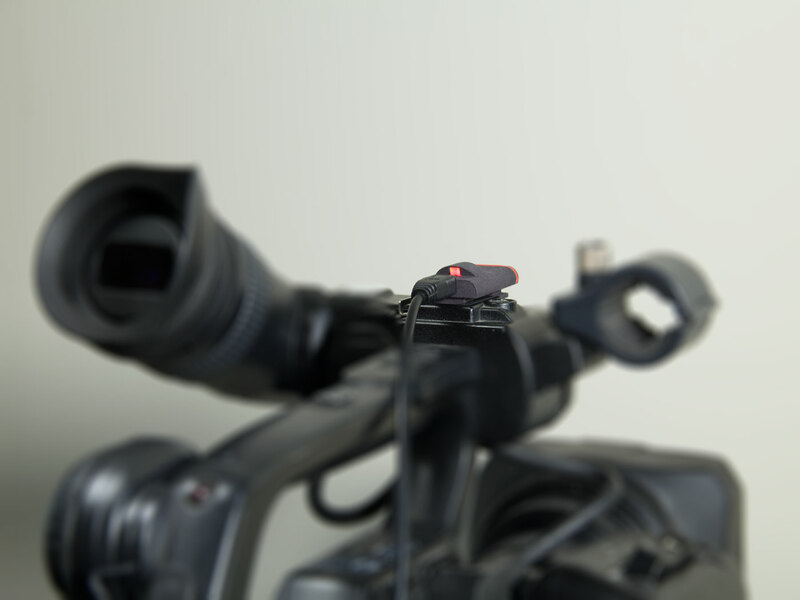 Within 10 seconds the Cuebi Light is started and connects to the switcher. It will show a red light for program and a green light for preview. All you need is a decent wireless access point to set up a stable 2.4Ghz b/g/n WiFi network, connected to your switcher. You also need some AA batteries, or a USB power source for each Cuebi Light. What about switcher firmware updates? It is safe to update your switcher without breaking the Cuebi Light, the firmware can easily be updated through the setup utility. The range largely depends on the strength of wireless access point and any physical obstructions present, but is similar to other devices connected to the same network like phones and tablets. If required, the range can easily extended by adding more access points to the network. Why does it not have an internal battery? 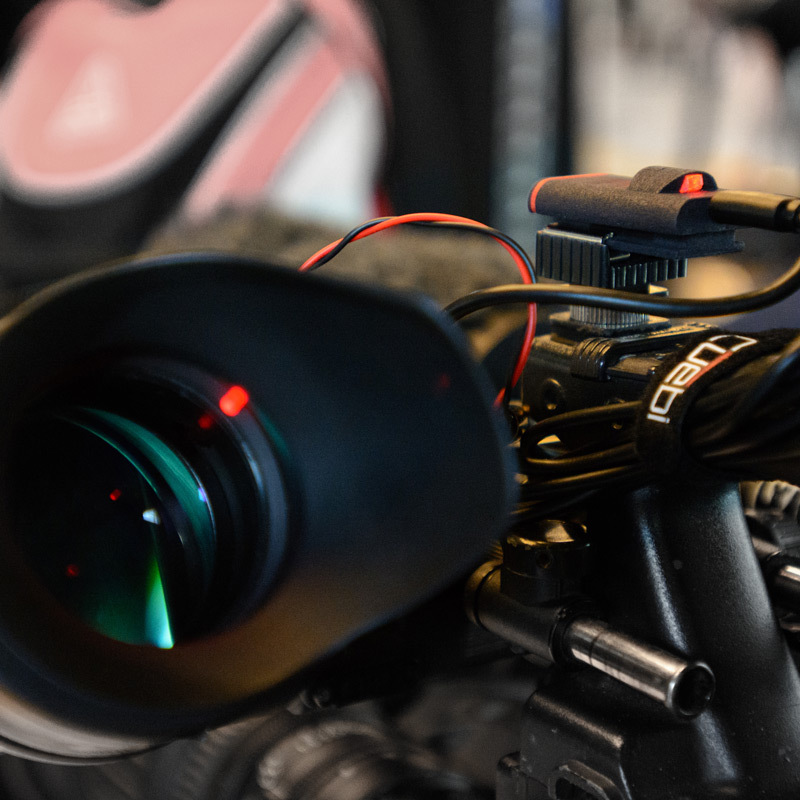 We wanted the Cuebi Lights to be as small and light as possible, so it can be placed anywhere you like, viewfinder, LCD monitor, etc., without limiting your movement. It also gives you the freedom to select the most optimal power source for your setup. 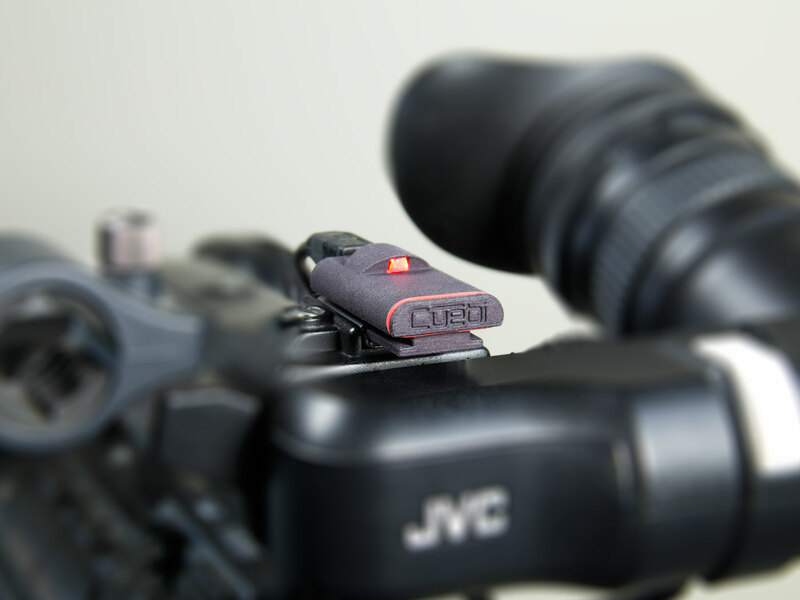 Many camera's have some form of power output, like a USB port or a d-tap connector, that can be used to power the Cuebi Light. Stay up-to-date about software updates and new products. Any questions about Cuebi, let us know.